The Extended Cut has been released, and by now everyone has played it through or watched the endings on youtube. Without a doubt they are better and more complete than the original endings. It seems astonishing to me that no one at Bioware, during play testing, realized that some vital information to make sense of the ending was missing, and that a few short scenes here and there, and some added dialog would make it all better. The Indoctrination theory, interesting though it may be, turned out to not be the answer. It was certainly interesting, and made more sense then the intended ending until the release of the Extended Cut. Perhaps Bioware even left it open enough, that if you still prefer the theory, it isn't spoiled and could still be your answer. In all honesty I bought the Indoctrination theory originally. It made sense, but still wasn't overly satisfying as it still left me with too many unanswered questions. Having said that I prefer the Extended Cut. I like the additions. It changed everything for me. Before the Extended Cut I was convinced that the best thing to do was to destroy the Reapers even if it meant killing the Geth and EDI. Surviving and destroying the Reapers had been my goal since game one. I wasn't about to change my mind in the last few minutes of the series. Then I replayed the ending with the added dialog. It elaborated on the situation and the outcome of the decisions. The "Catalyst Kid" basically comes right out and says that Synthesis is the best possible outcome, and that it's the future, it is inevitable. Whether you choose that ending or not, it's possible that at some time in the far off future, another generation, that Synthesis will happen. I'm not sure how, since everything would have been changed, but we don't argue too much with Catalyst Kid. It may be the strangest ending, but somehow it's also the best. EDI lives, she has evolved and she sound pretty happy about it. 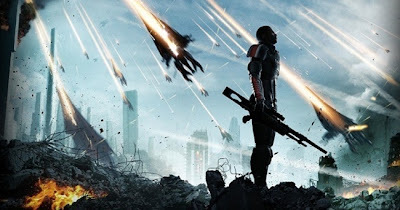 If you control them, Shepard gives the closing dialog, but doesn't quite sound like himself, he makes the Reapers help rebuild, but the possibility that all the destruction could happen again sometime doesn't quite feel out of the realm of possibility. Surely Shepard is good, even in Reaper form, unless maybe you played a renegade Shepard. That leaves it a bit more up in the air. The Reapers sound more like an over protective, always watching, police force ready to pounce on anything that threatens the new found peace in the galaxy. It may be nice for a while, but eventually there will be those who will rebel, and it will be another generation's task to take out the reapers again to give the galaxy back it's freedom. Then there is the newer version of the destroy ending, which despite losing my new Geth friends, and EDI, ends in victory with the Reapers having been destroyed. But how much of a victory is it? With many good people dying along with the Reapers, we lose a lot, but the battle is over. We are told that Reapers are/or contain information about the peoples and cultures that came before. They are a vast wealth of knowledge from which the galaxy could learn, and in the two other endings the galaxy benefits from this co-operation with the Reapers. However, it's not possible with this ending, and Catalyst Kid assures you that despite making peace between the Geth and the rest of the galaxy, that it wouldn't last. You may think you deserve the chance to try, but it's too late now because the Reapers are already killing everything. I'm still scratching my head over that bit, but what can you do. A future set of synthetics may not be as kind as the Geth turned out to be, and if that happened, we'd be right back where we started. Clearly you need Synthesis, or the powerful Reaper police force with Shepard at the helm. The good news is that no matter which ending you choose, there is far more closure. With that in mind, I can honestly say I like the ending. What of the future? Can they make another Mass Effect game set after the events of Mass Effect 3? They could do a prequel, but no one really likes those. They could do a side story happening at the same time as the series we just played, but that would feel a little too small after just fighting the main fight, and being right in the middle things, essential to saving the galaxy. Anything lesser wouldn't be the same. So what comes next? Could they make a game that is three games in one? At the start you have to choose which starting point. Did you pick control, synthesis, or destroy? That would give players a lot more replay value, but that game sounds maybe a little too ambitious. Is it possible that they could leap much further to the future, where it turns out that Catalyst kid is right that Synthesis was inevitable, and that it happened one way or another? That would turn too many players off to the title. Players want choice, and they want this to be their world, where they are able to shape the outcome of the galaxy. As for future games, we'll just have to wait and see. 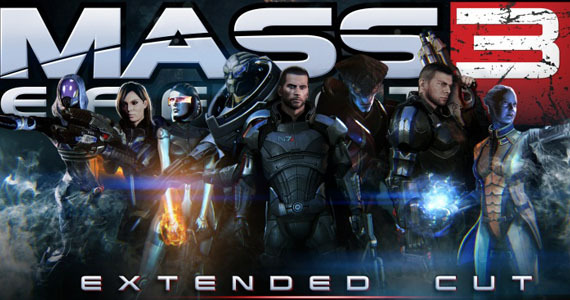 In the meantime, I'm still hoping for some DLC for Mass Effect 3. The Extended Cut endings may have answered a lot of questions, and yet it may have just left us with a set of different questions.